UPDATE: Reports are coming in that the monorail lost power and guests removed the windows to increase airflow to the cabins. We’ve reached out to Disney for clarification, but they did not immediately comment. Original article below. UPDATE 2: A Disney spokesperson has confirmed that this was a power loss issue, stating that “the train was stopped during a thunderstorm and towed into the station. It is standard operating procedure for us to unzip the windows for airflow. The Train was then running shortly thereafter, and there were no issues.” We’ve updated the article below to reflect the facts. 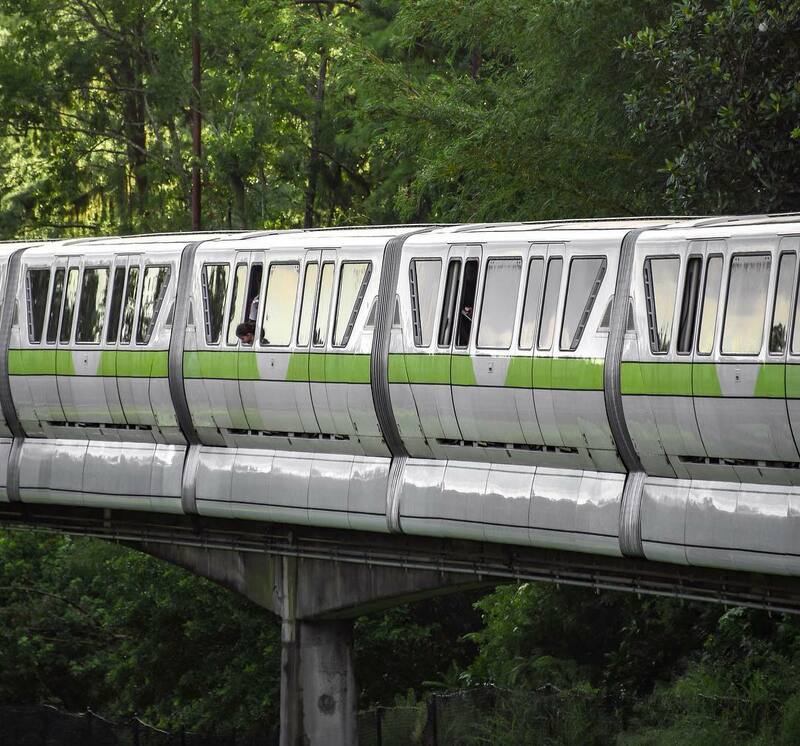 It appears that the monorail woes continue for the Walt Disney World fleet. Less than half a year removed from the incident where a door opened while the monorail was in motion with guests on board, we’re now seeing photos on social media of multiple windows removed on monorail green. A post from brit_at_wdw on Instagram shows monorail green with multiple windows missing and a child sticking their head out of an open window. 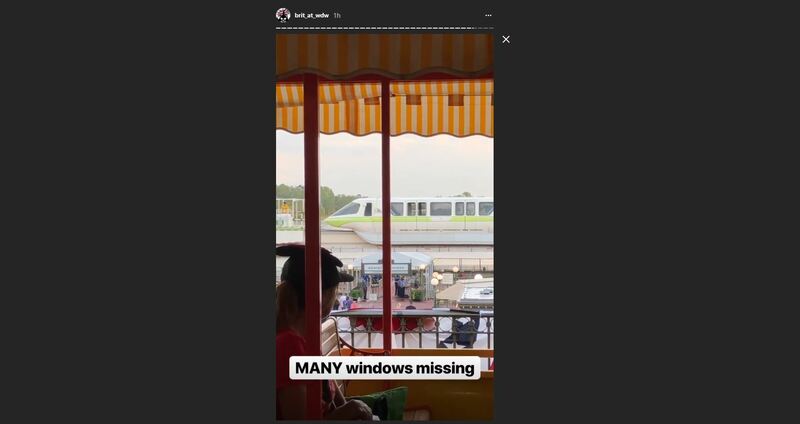 The initial firsthand report from the Instagram user was that the windows had fallen out, but Disney has stated that the windows were removed as part of their standard operating procedures when a monorail loses power. According to the social media user who posted the photo, local authorities asked them to stop taking photos of the monorail and leave the area. A subsequent post from the Walt Disney World Railroad shows the monorail being pulled back to the backstage roundhouse via a tug.